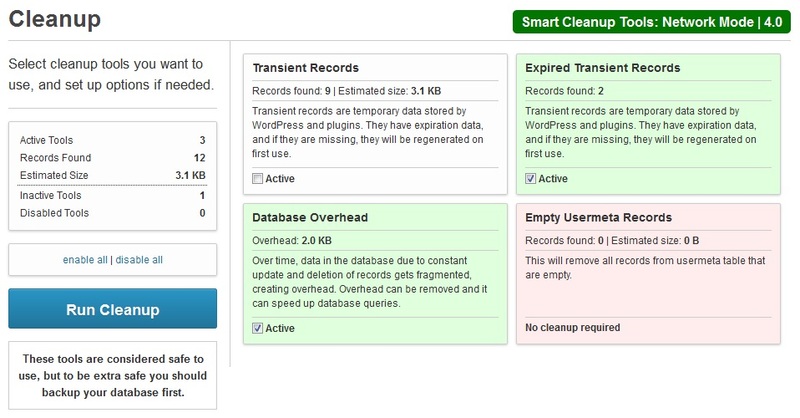 Smart Cleanup Tools contains 21 cleanup tools that can remove most of the obsolete or orphaned data in the WordPress database. 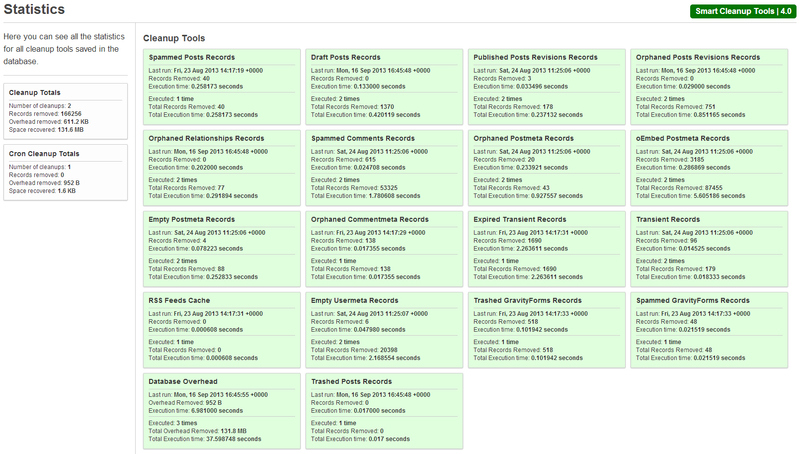 You can see estimated records that each tool will remove. You can also disable each tool from plugin Settings panel. 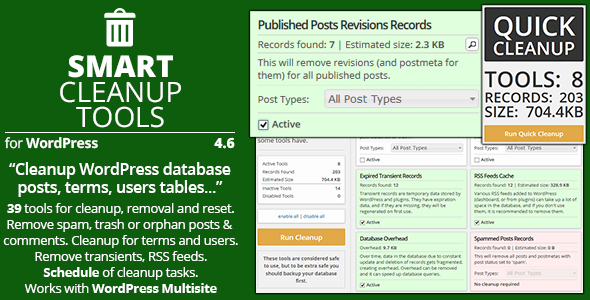 With reset tools you can remove some data from database, and it will be recreated to default values. 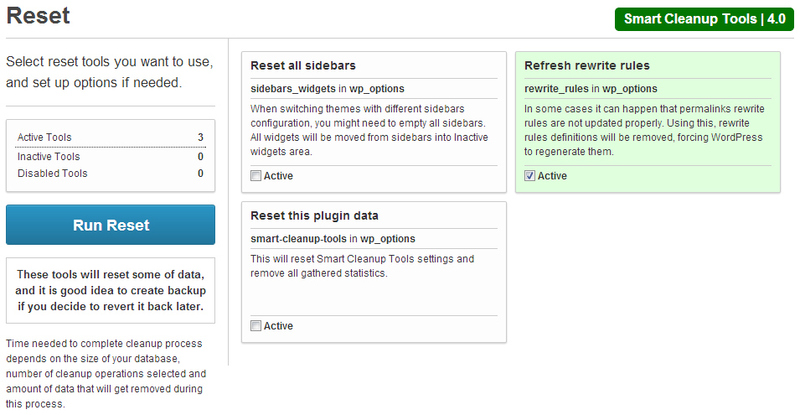 Removing widgets from sidebars is useful when changing themes, and refreshing rewrite rules is useful when having problems with permalinks. You can schedule cleanup jobs to run at any time, they can run once or they can run on a repeat with selected period. 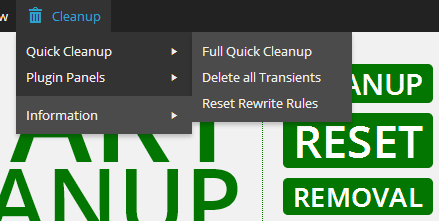 All cleanup reports can be saved into files. 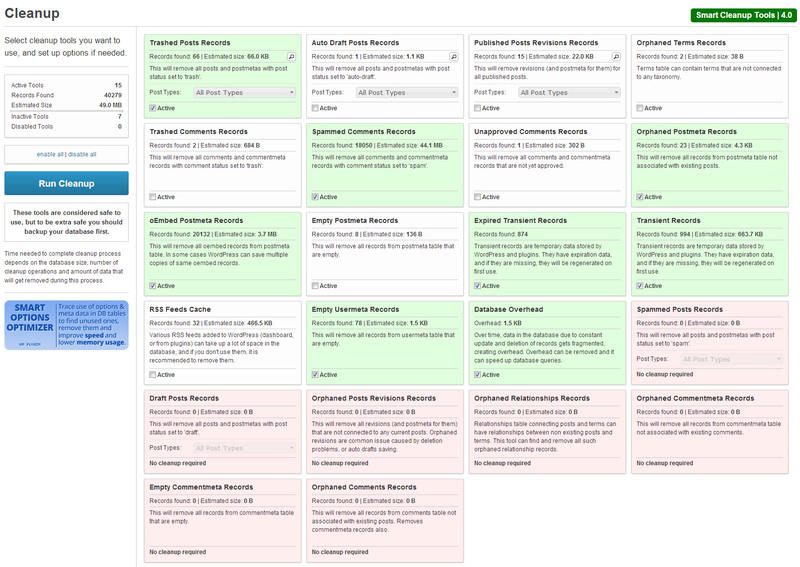 All plugin settings and settings for scheduled jobs can be exported into file and later imported back. Smart Cleanup Tools adds new event in security log to track execution of cleanup, reset and removal jobs (including cron executions). Plugin contains PDF user guide in the plugin package, inside the ‘docs’ directory. 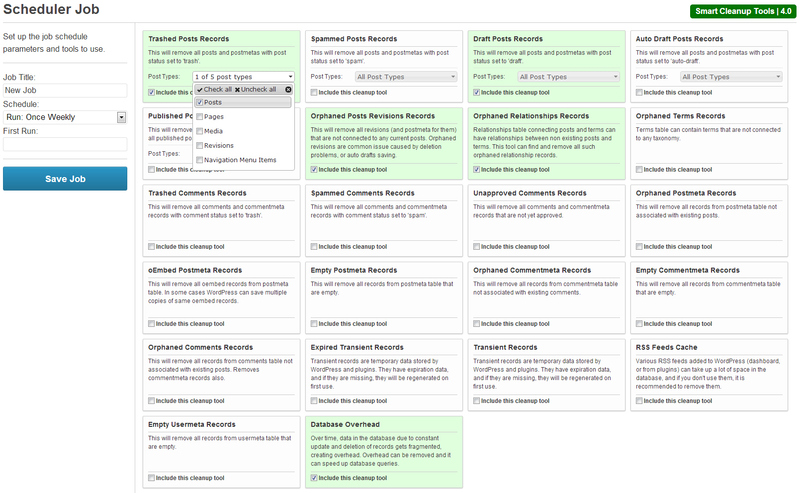 Check out this documentation to get information on plugin options, usage and more. 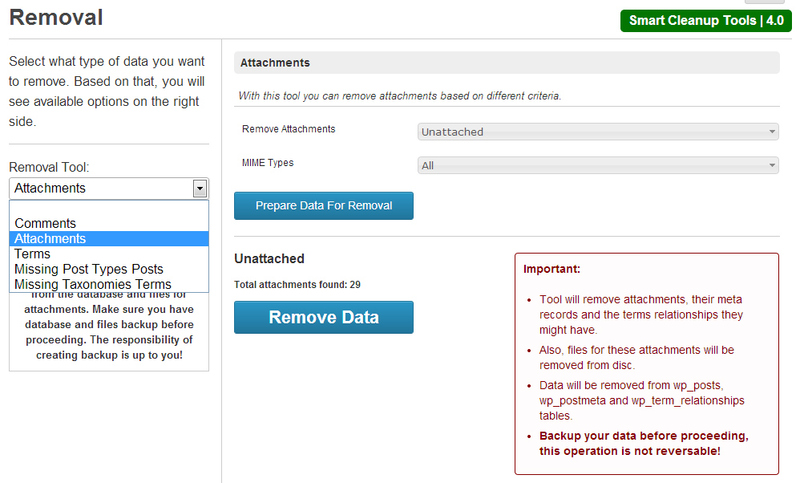 Make sure you backup your database before cleanups, in case you change your mind later. 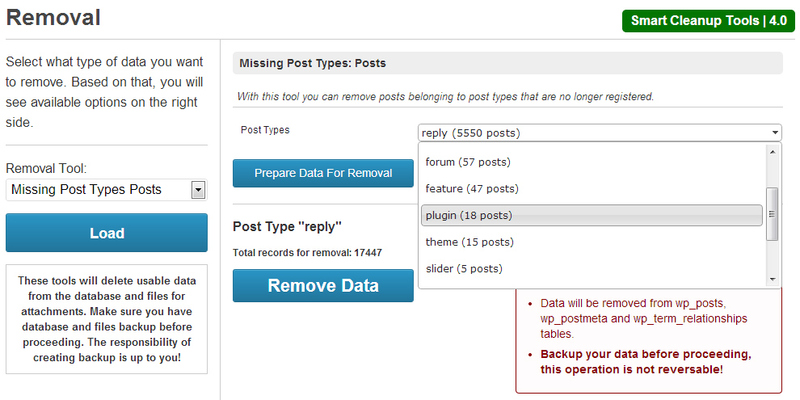 Once removed, plugin can’t restore removed data! 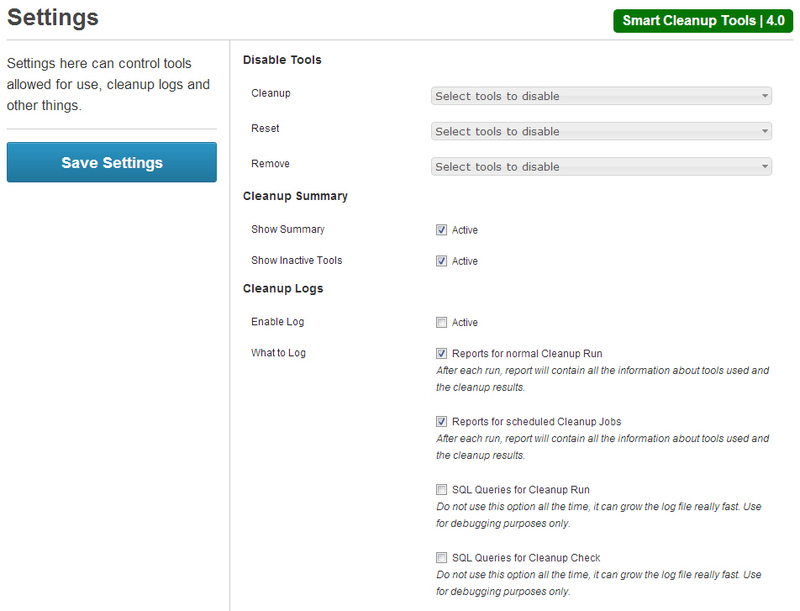 You are using Smart Cleanup Tools for WordPress at your own risk.